Hawaii is a truly magical place. Comprised of 8 islands, 6 of which can be visited, and each has its own flavor. What you enjoy doing while traveling may dictate which island is best for you, but if you have the choice I definitely recommend visiting at least 2-4. 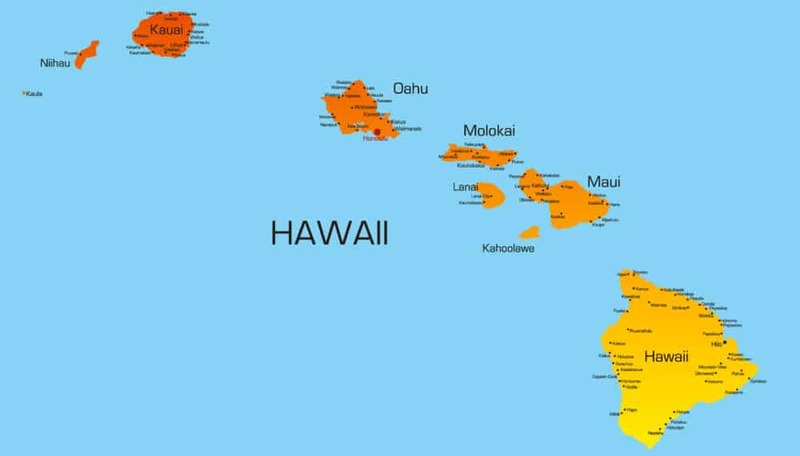 The islands accessible to visitors include the main 4 islands which are Oahu, Maui, Hawaii (aka The Big Island) and Kauai. Also, there are the islands of Lana’i and Moloka’i which are accessible via ferry from Maui. 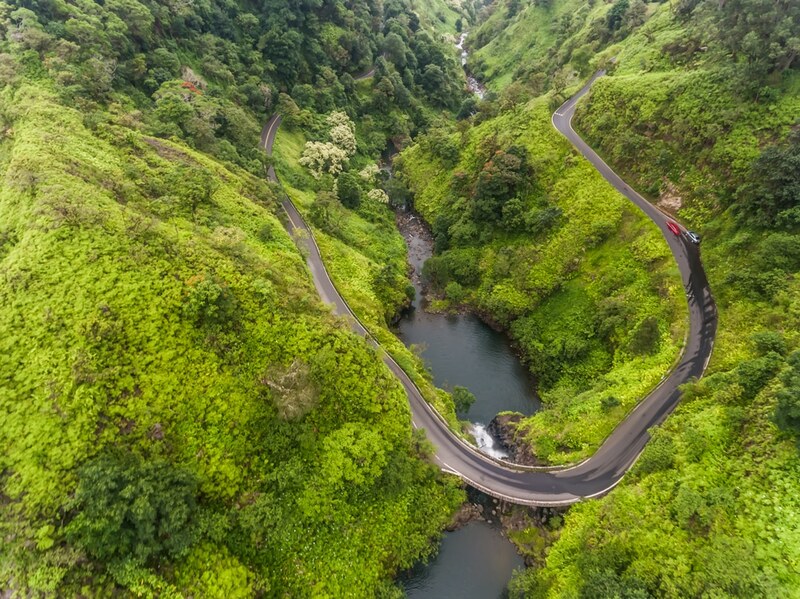 If you love nature and the great outdoors you will love Kuai’s rainforests and canyons, want to see flowing lava and have some of the best star gazing in the world? Visit the rural Big Island. 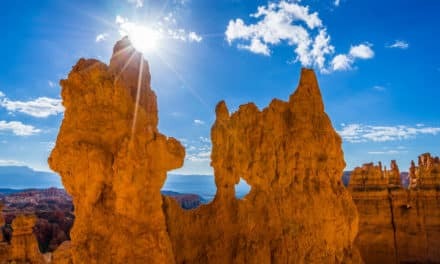 If you love secluded romance and great beaches check out Maui and if you want a faster-paced island, cities or have more interest in history try Oahu with the city of Honolulu, their famed Chinatown, North shore surfing competitions and the palaces from when Hawaii used to have their own royal ruling. The Hawaiian Islands definitely offer a unique and diverse destination for all types of travelers. Before I name my top 15 things to do in Hawaii I am sharing some important travel information for your Hawaii trip. 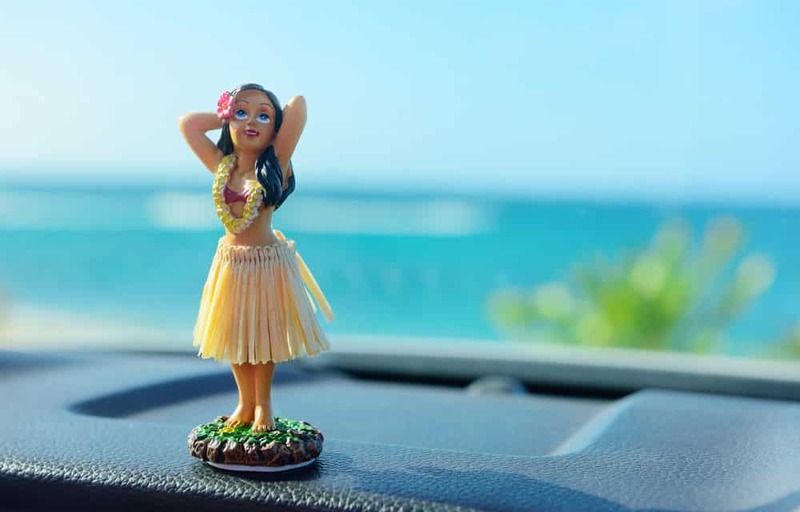 So, let´s start with the travel tips for Hawaii. Most importantly be aware of your surroundings- always. Most of Hawaii is safe even at night so just exercising common sense will keep you out of any potential trouble. Don’t go out drinking alone, be careful not to expose your money/valuables or leave them unattended on the beach, trust your gut if a person or situation doesn‘t feel right- leave and don’t share your hotel information with people you don’t trust. If you don’t feel comfortable walking grab a taxi. Be conscious of the fact that every city has good and bad areas- research before you go so you know your good areas and stay in them. English is the main language here making navigation for most quite easy. Like anywhere else catcalling does happen I always recommend ignore and just continue walking, it’s best to avoid confrontation especially if traveling solo. Getting around varies island to island as they are each structured differently. On the island of Oahu: iI you stay in the Honolulu area you would mainly walk or can use taxi and bus services since it is a city environment. On the island of Maui or the Big Island, I would recommend a car rental to get around easily or to discover it by motorcycle. On the other hand, if you visit the island of Kauai, 80% of this island is inaccessible by car so I wouldn’t bother with a car rental here and would stick to using transfers and tours. To get between these 4 main islands you would need to fly, flights are typically about 45 minutes long. If visiting the 2 smaller islands of Lanai or Molokai they are both only accessible via ferry from Maui. Be sure to pack a variety of clothing, although most of the time it will be tropical weather if you decide to head up into the mountains it can be quite chilly. I also recommend always having bug-spray and sunblock available. 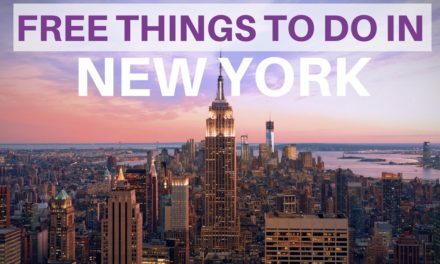 In addition, bring sneakers for active days and a raincoat for any tropical showers. Most of these are good mid-range hotels except for Kalani on The Big Island which offers more cabin-style accommodations. Best time to travel to Hawaii is: anytime! There is no off-season and temperature is constantly 70s – 80s Fahrenheit year round. 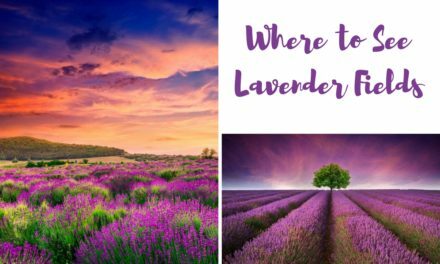 Looking for more general travel tips (especially for backpackers)? Here for more travel tips. The USD is a fairly strong currency so traveling here can be costly for some nations. Also, as it often happens on islands, many things are imported and can affect costs as well. I found expenses to be higher when in city areas like Honolulu and more affordable in rural areas such as east coast on the Big Island. Of course, as anywhere else, finding great local spots to eat is an option for saving money. If you opt for a condo or apartment style accommodation you can also cook some meal to save money. In addition tap water in most of Hawaii is fine to drink so there is no need for bottled water purchases. Unfortunately, though bargaining is not an option while shopping here so spend wisely! Click here to find out more about the food and culture in Hawaii. Okay, let´s start with the best things to do in Hawaii – you´ll find the top activities for the main island. 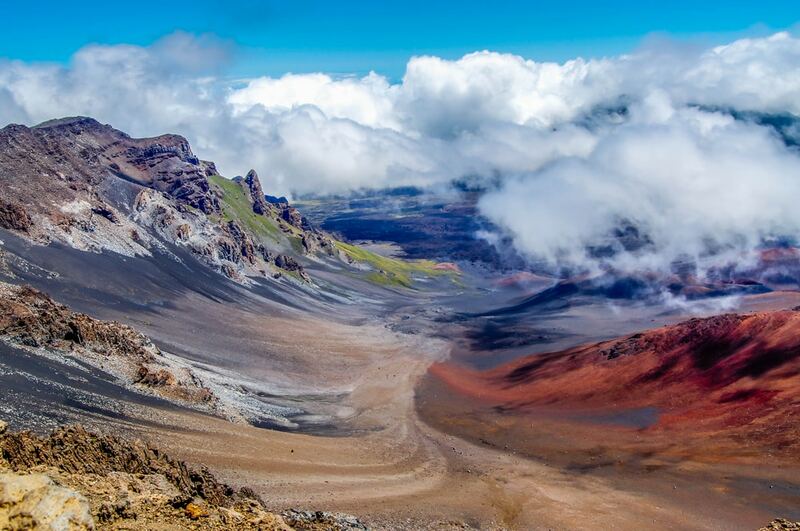 Here are the top activities for Maui. This is a full day drive (about 3 hours each way) so you will want to leave early! Boasting amazing scenery along the way you’ll see rainforests and ocean cliffs. 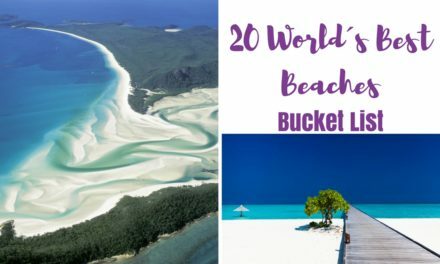 You can also make several stops along the way at various beaches and waterfalls. At the end of the road, you’ll reach the charming town of Hana where you can relax and grab some food at a local restaurant. 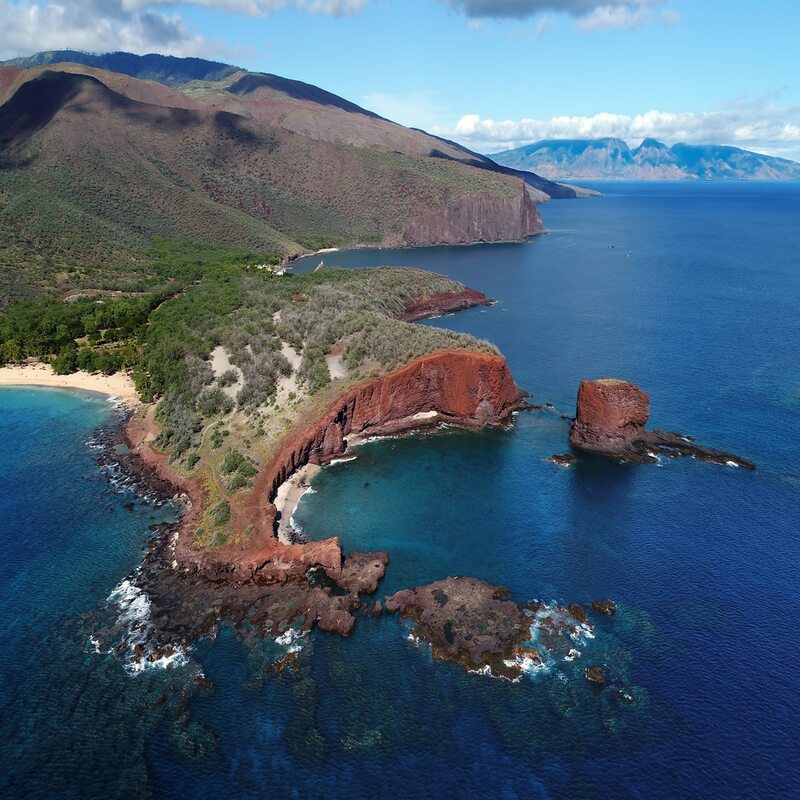 Molokini is a sunken, extinct volcano crater about 2 miles of the coast! And yes, you can snorkel it! Being submerged for many years it has developed a reef system and the rim of the crater protects these tiny ecosystems from the rough waters making it the perfect spot to snorkel. 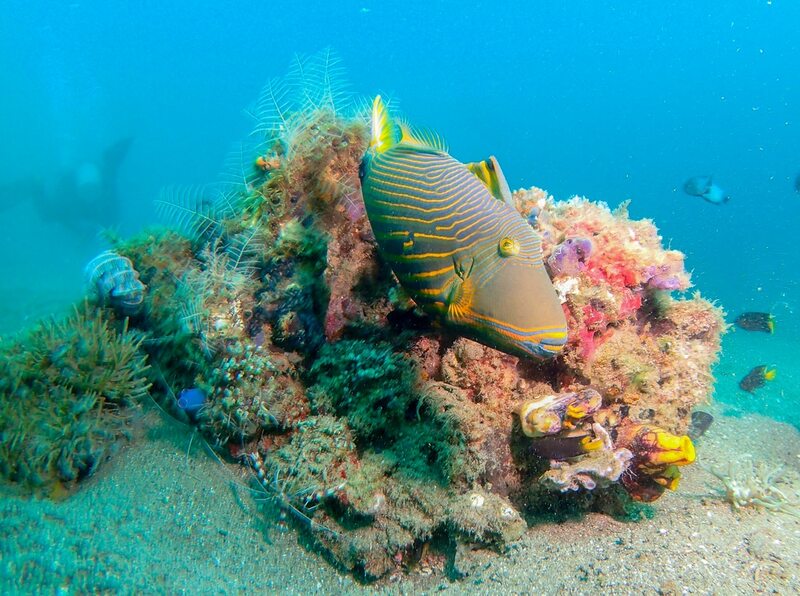 It is a protected marine reserve though, so you must visit via tour. Halekala is a dormant volcano known for its gorgeous sunrise views. Take the trip up here early in the morning to see the colors change with the sun. Be sure to dress warm though the altitude keeps it chilly here. If you are more of a thrill seeker you can ride a mountain bike down the summit as well. Either way be sure to book ahead as a tour as of 2017 visiting needs to be arranged in advance this way. Here are the best tips for the Big Island. Black sand beaches are such a surreal experience and definitely worth seeing while in Hawaii. 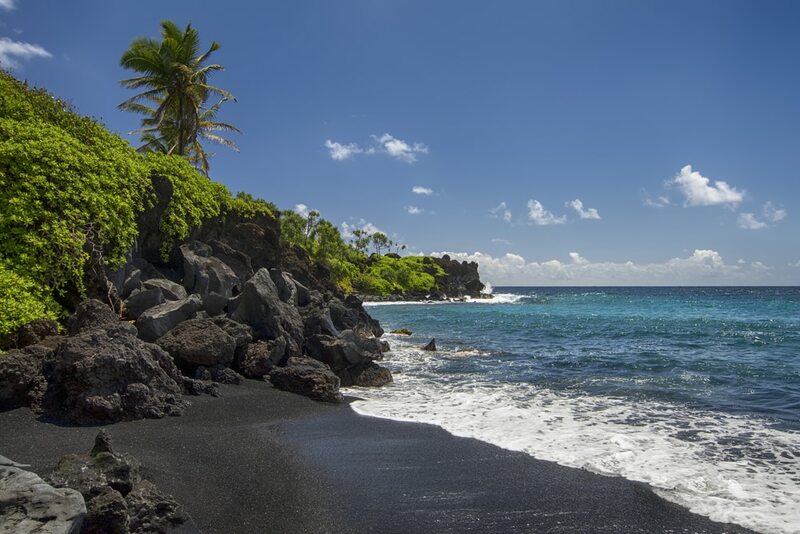 Although there are black sand beaches on each of the islands, The Big Island has the most since it is the only island that still has an active volcano. One of the best on the island is Punalu’u Beach, there is also a high chance of seeing endangered sea turtles here as well! 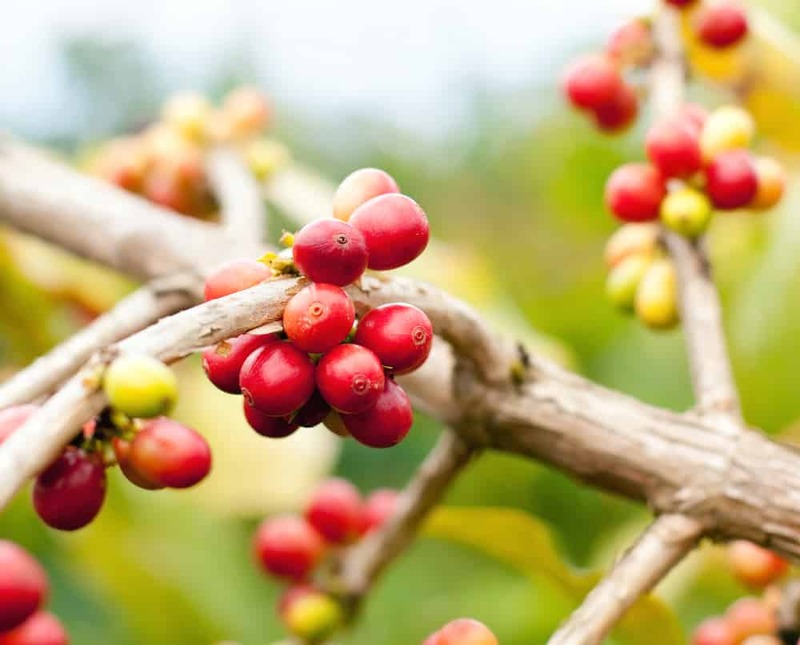 Kona coffee is not grown anywhere else in the world except on Hawaii Island (aka The Big island). Due to the high elevation, volcanic soils and the islands cloud forests it is an ideal place for the coffee plantations and creates the perfect environment for the beans to grow. Coffee farming is a long-lasting tradition in Hawaii and they make delicious rich and aromatic brew like non-other! If you can visit a plantation and witness the process, as well as do some tastings- definitely do! But even if you can’t make it to a plantation be sure to drink a cup while here. Volcano National park is a really amazing and humbling experience. This where the island is literally still being created by mother nature. You can visit the museum and visitor’s center for some great info and safety information for exploring the park. You can visit several fascinating spots within the park including the Thurston Lava Tube and the Halema’uma’u crater. 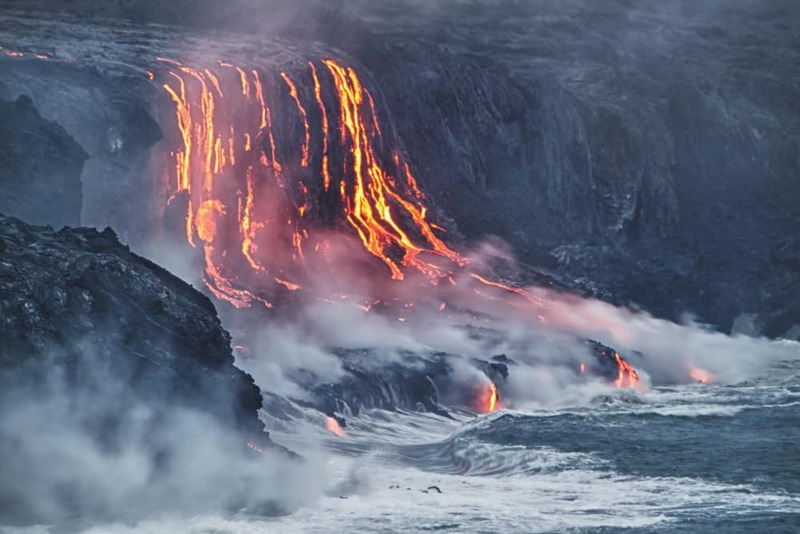 If you are lucky you will see the flowing lava but for a very beautiful experience wait until sundown when you can see the orange glow from the volcano. You can start or end your trip at the nearby winery – Volcano Winery where you can do some tastings of the unique Hawaiian wine and see the vineyards grown in the rich volcanic soil. 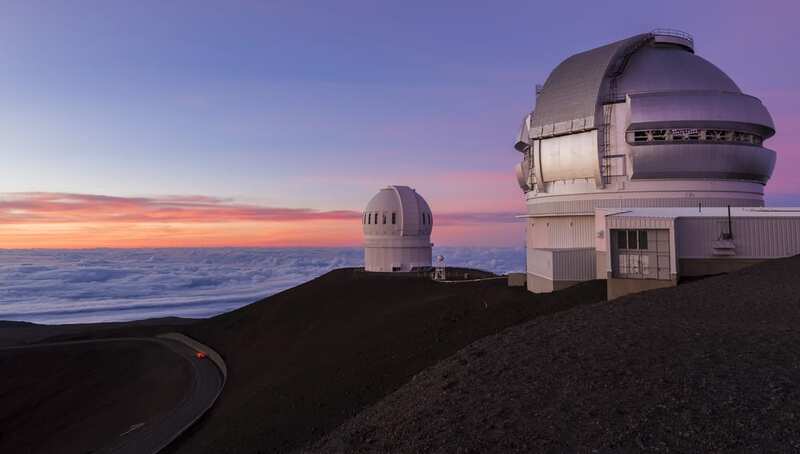 Mauna Kea is one of the best places in the world to stargaze. Thousands of miles from any light population you will see more stars than ever before. So much so in fact that the world’s largest telescopes were places here to view deep into space. On a tour here, you can look through these telescopes as well. Note that due to the altitude it can be chilly up here. Find more tips on things to do Big Island. Find out about fun things to do on Oahu. 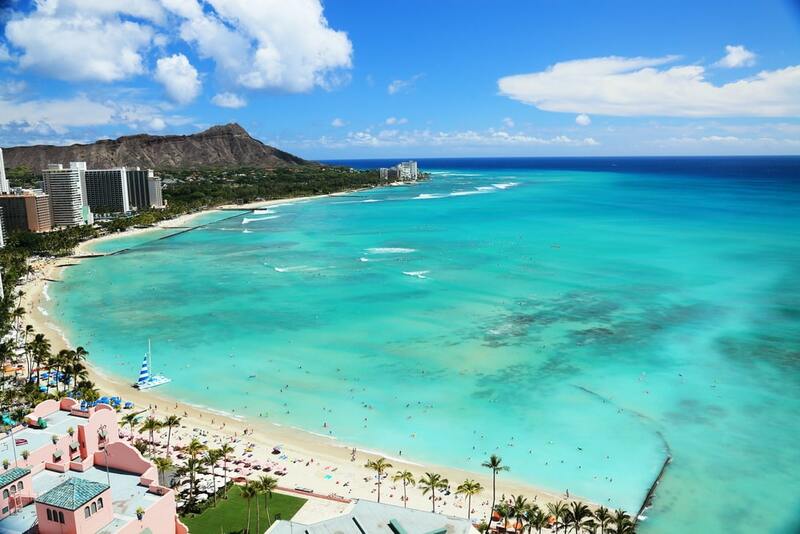 Waikiki beach is the famed beach of Honolulu city, lined with high rises featuring tons of events and nightlife. Shopping, restaurants galore, Friday night fireworks over the beach and rooftop luaus make this one of tops cities in the US. Most people like to stay on this iconic beach area but conveniently located on the waterfront of the city means you still have access to the rest of Honolulu where you can see historic sights like Pearl Harbor or the Hawaiian Royal Palaces as well as cultural hot spots like Chinatown. Diamond Head crater was originally called Le’ahi by the Hawaiians but gained the nickname “Diamond Head” when sailors mistook the calcite for diamonds. 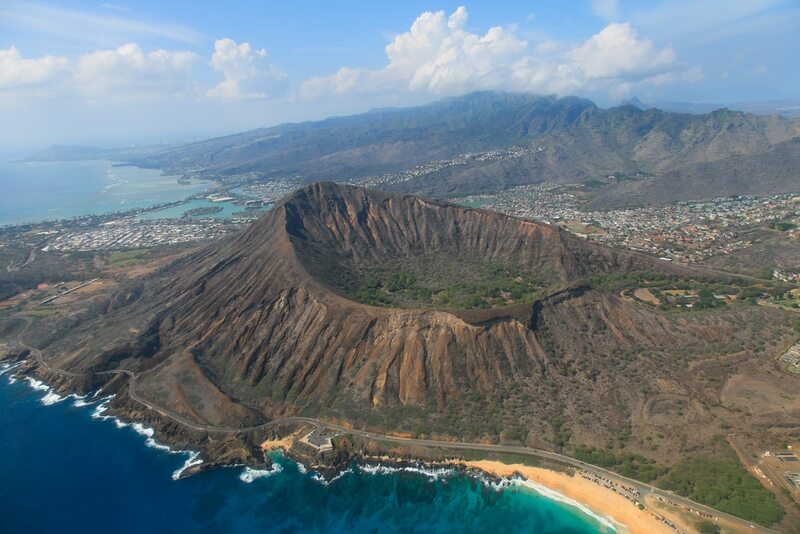 Flying into Oahu you will see Diamond Head from above and it is quite lovely! With its placement just outside Honolulu city and it’s a relatively easy 45-minute hike to the top it makes it an easily accessible natural site for all visitors. Gates open at 6 AM and it’s best to get there early to avoid tourist crowds. Once you get to the top enjoy a stunning panoramic view of Oahu- gorgeous. 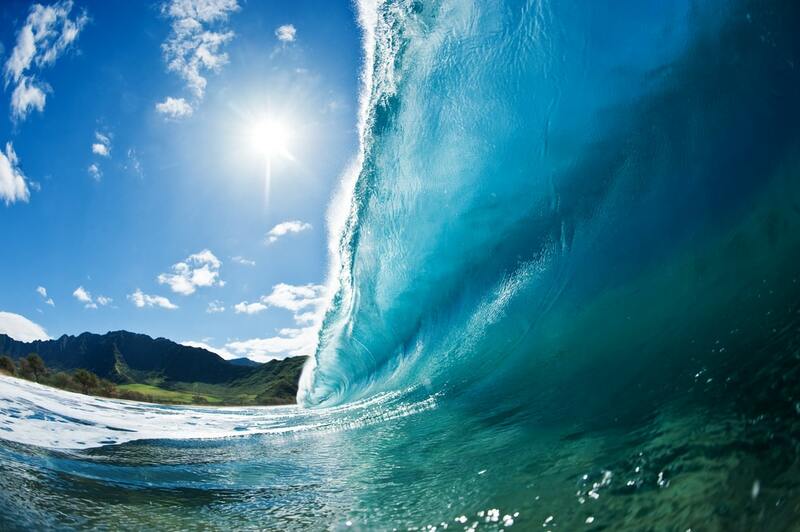 The north shore is famous for surfing and is a nice escape from the city of Honolulu. If you are a beginner visit in the summer for more manageable waves, otherwise winter months bring huge waves and pro surf competitions that are a blast to watch. Be sure to also grab a local favorite here- Hawaiian shaved ice- yum! Find out about more free things to do in Oahu. 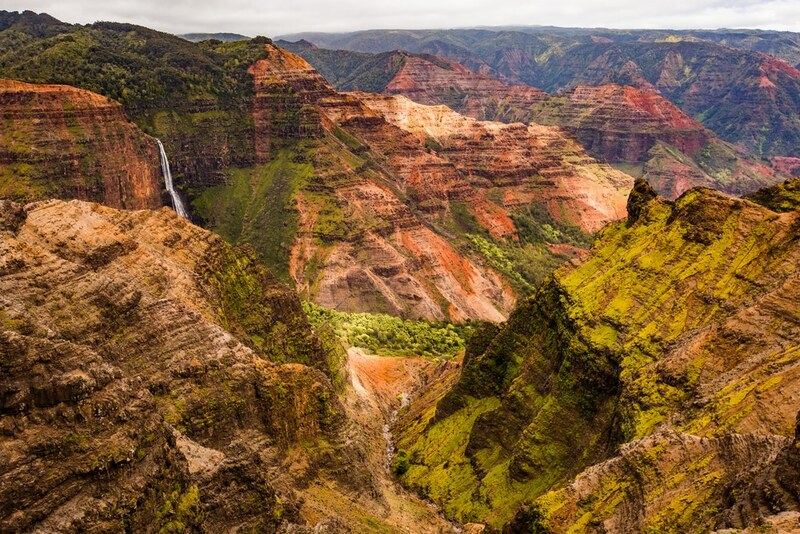 Here are the best things to do on Kauai. Known as the “Grand Canyon of the Pacific” this is one of the most popular spots to visit on the island. It has tons of hiking trails as well as sightseeing outlooks via car. The gorgeous colors of the stone with the lush green vegetation is a beautiful sight to see and definitely worth a visit while on the island! This is one of the most iconic sights of all Hawaii. Even if you haven’t heard the name before you have most likely seen an image. The dramatic cliffs and rock walls against the Pacific Ocean are stunning. 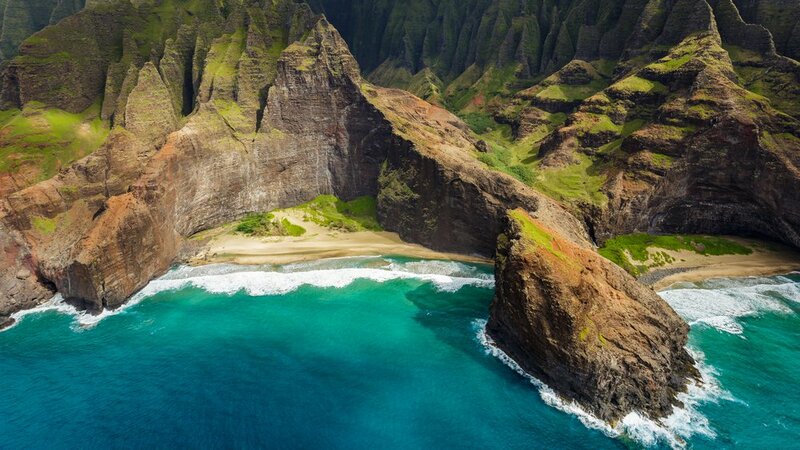 As previously mentioned much of Kauai is inaccessible via car and this includes the Napali coast. In fact, the only ways to see this area is via helicopter or boat. You can book via Viator, helicopter rides although pricey they are worth the amazing views but if you want a more up-close experience try one of the sailing trips that visit the coast daily. 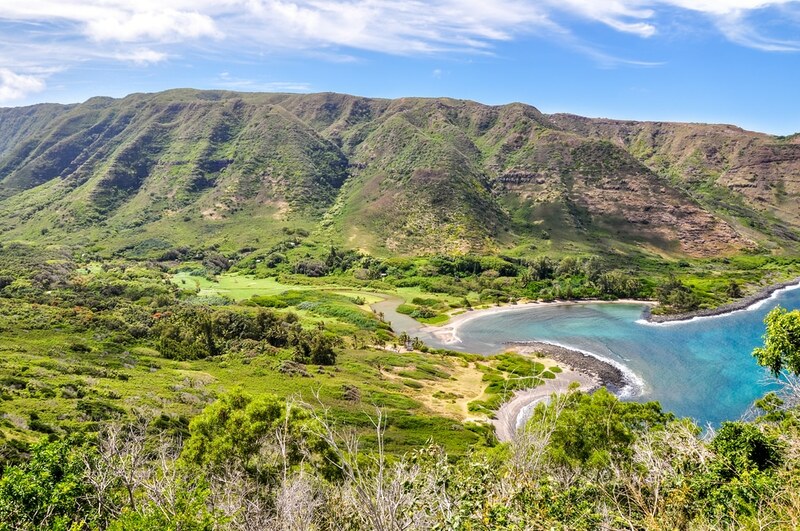 Here are tips for the best things to do in Moloka’i. You can take a ferry to Moloka’i from the island of Maui. A hike along this trail will lead you to the stunning 250-foot waterfall Mo’oula, definitely a sight worth seeing. Please note that a guide is required to hike this area! Also the location of “Sweetheart Rock” this is a gorgeous sight of cliffs going into the Pacific. It is about a 30-minute hike up the cliffs to see the iconic landmark off shore and if you’re lucky you may spot dolphins! Take the hike later in the day to catch the sunset and have an evening picnic. 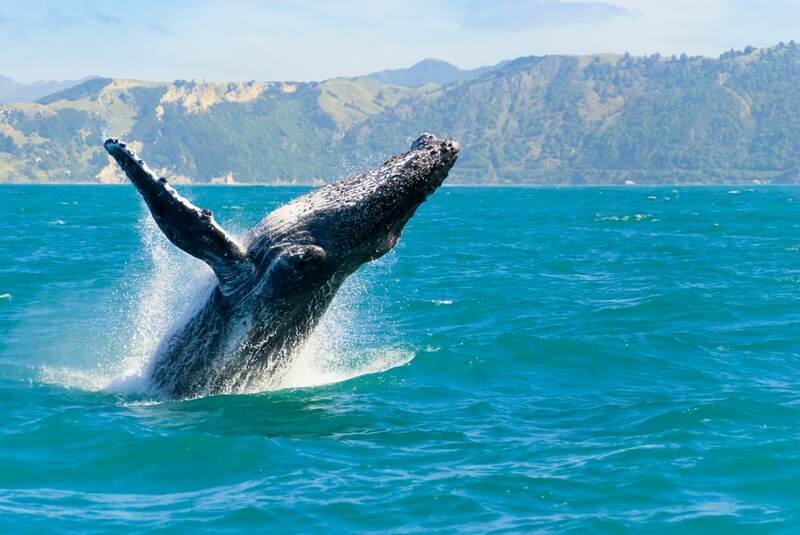 Hawaii is one of the best places in the world to go whale watching. The whales migrate down during winter months (Dec-March) to give birth to their calves. The most common whale to see is a humpback whale and if you are lucky you may see one breach- where they leaped straight out of the water and come crashing down with a splash! What do you think? Does not Hawaii look absolutely gorgeous? Have we missed beautiful spots in Hawaii? Let us know about your favorite things to do in Hawaii. Cassandra is a US-female travel addict that loves traveling the world and freelance writer at ArzoTravels. She has made traveling her priority and so she has traveled for the last few years. Check out her site where she sells her travel photography. She has also become a regular contributor for this website – Arzo Travels.